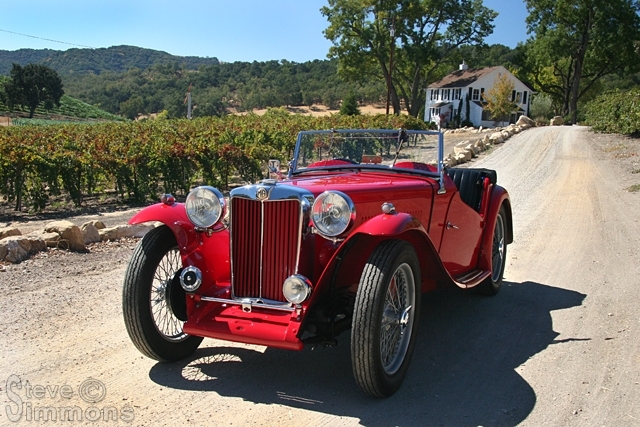 The first time I laid eyes on an MG TC as a child, I dreamed about owning one some day. Years later, and married to a woman who loved them nearly as much as I did, a car within our budget presented itself and was found only a few miles away. We jumped on the opportunity. The car was stored unused in an outdoor carport for many years and looked pretty bad. It was obvious that work had been done shortly before storage, but we had no idea how good it would turn out to be once we gave the poor thing some much needed attention. How we found the TC and brought it back from 15 years of storage. A collection of photos from the many trips we have taken in our TC.